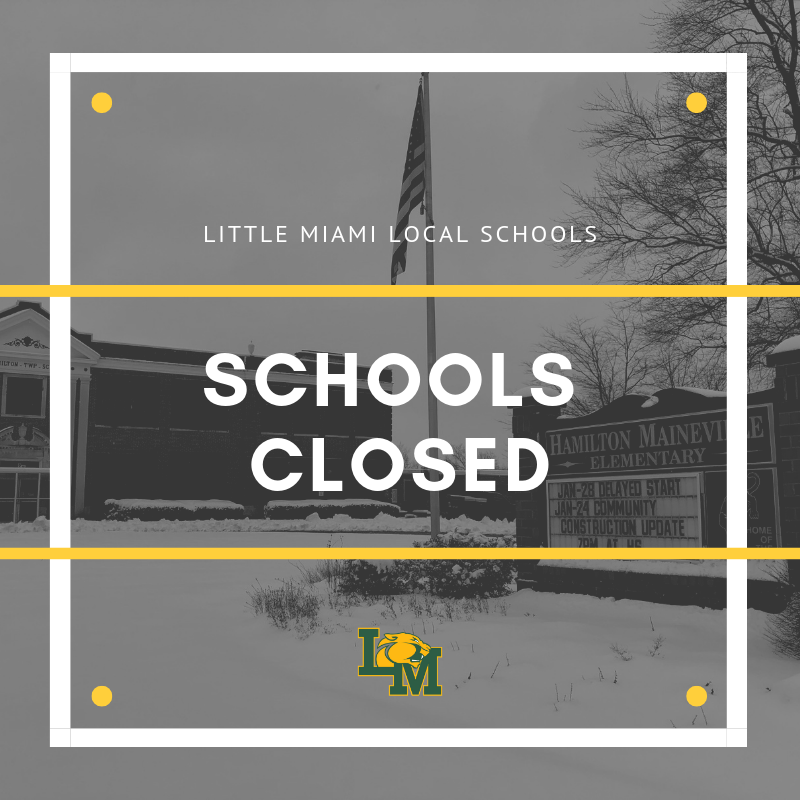 Little Miami Local Schools will be closed Wednesday, Jan. 30 due to predicted bitterly cold temperatures and wind chills. All evening activities will be cancelled as well. See more info about the process that goes into making a school closure decision. 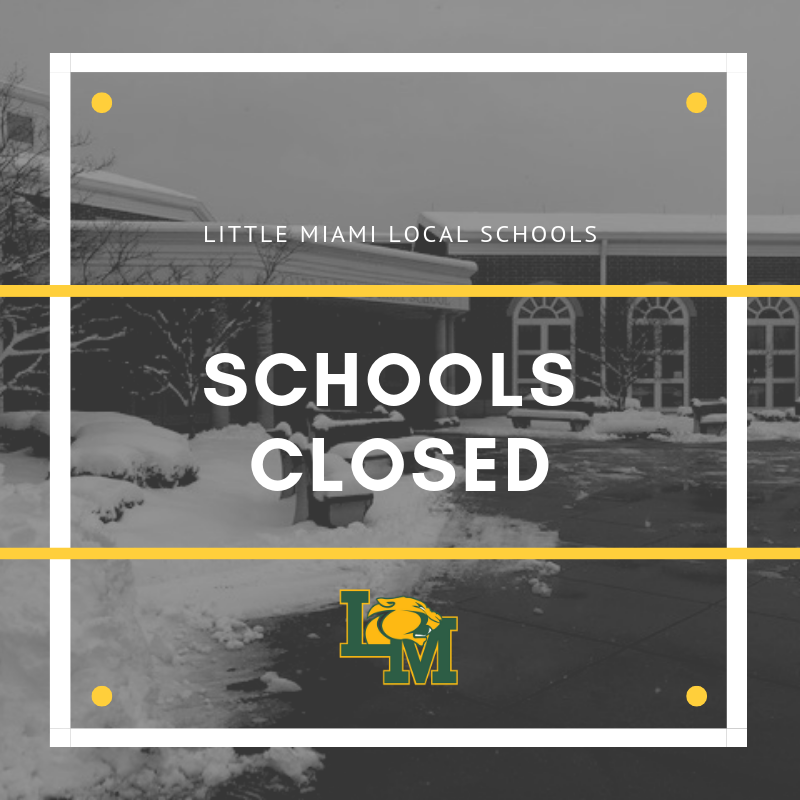 Little Miami Local Schools are closed for Wednesday, Jan. 16 due to inclement weather and slick roadways.